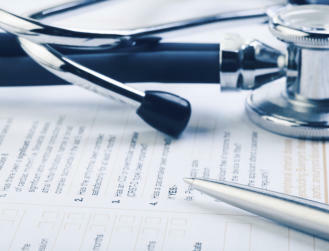 Our doctors use a comprehensive, holistic approach to determine which tests you will need. These tests allow our doctors to examine the many facets of your condition, looking at issues from different angles, to gather a more complete understanding of your overall health. 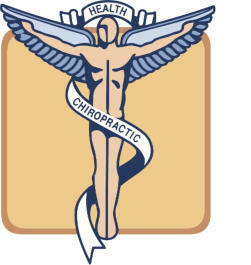 This understanding of your condition allows us to customize your treatment to bring you back to optimal health. When you are ill, the most important service we has to offer is a caring physician. Our doctors are here to get you better and to show you the source of the illness. The human body changes constantly, with new blood being made every 120 days. ‘Snapshots’ of you, taken through the testing process, are used by your physician to assess your health, pinpoint or support diagnosis, monitor ongoing treatment, and to screen for other undiagnosed disorders. •AMAS (Anti-Malignin Antibody in Serum) Test – A cancer predisposition test that detects most types of active cancer in the body, found to be 95% accurate. •Electrocardiogram – Examines the electrical impulse of the heart as it contracts to evaluate the function of the heart. •Heavy Metal – Exposure to heavy metals every day is common in both the environment and our diets, and is hard to avoid entirely. Testing is done to determine how much exposure an individual has had, so that a treatment plan can be determined. Buildup of heavy metals in the body can lead to acute or chronic toxicity and poisoning, significant illness, damaged/reduced mental and central nervous function, and other degenerative processes that can mimic Alzheimer’s, Parkinson’s, Muscular Dystrophy, and Multiple Sclerosis. •Food Allergy Testing – Examines a blood sample to determine which foods elicit an allergic response, both acute and chronic, and the relative strength of the reaction. •Hair Analysis – Examines a hair sample to evaluate the presence and levels of different minerals and toxins in the body. Hair analysis also identifies mineral deficiencies. Heavy metal toxicity can cause nervous system dysfunctions and has been linked to autism and ADD/ADHD. 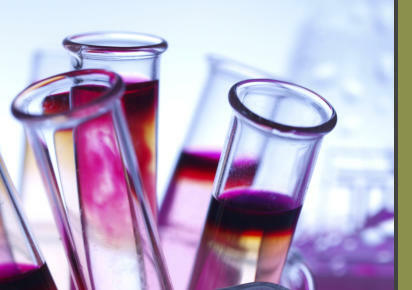 •Hormone Testing – Examines samples to determine the levels of hormones in the body. Used for both men and women to evaluate the function of the endocrine and reproductive systems. •Range Of Motion (ROM) / Muscle Testing – Computerized testing measures the range of motion and strength of various parts of the body to determine which areas are deficient and need rehabilitation. •Stool Analysis – Examines a stool sample for various substances including blood to evaluate the function of the digestive system and rule out various diseases or infections (caused by parasites, viruses, or bacteria), as well as check for nutrient absorption, or cancer. Examines a blood sample, determining levels of many different substances including cholesterol, glucose, liver enzymes, and thyroid hormones to evaluate the function of multiple organ systems including heart, liver, kidneys, thyroid, and others. We do draw blood in our office for your convience. We ask that you fast for 8 hours prior to your blood draw and that you drink plenty of water to make your draw quick and painless. Measures the levels of energy in the twelve meridians of Chinese acupuncture to evaluate the balance of the different organ systems of the body. Urinalysis – Used as a screening and/or diagnostic tool to detect different metabolic and kidney disorders, it examines a urine sample for pH, protein, glucose, bacteria, blood and other components to determine the condition and function of the urinary system including the kidneys and bladder. Some symptoms that might indicate a urinary system problem may include abdominal pain, back pain, painful or frequent urination, and/or blood in the urine.